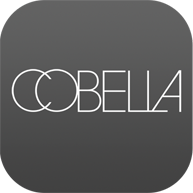 COBELLA OFFERS A PLETHORA OF SPECIALIST HAIR STYLING AND BEAUTY TREATEMENTS. Situated in the heart of the west-end and overlooking Kensington Palace Gardens, Cobella Kensington is the working amalgamation of two concepts; the nurturing and calming aspects of the health spa with the creative and artistic aspects of hair styling. The hidden Spa is celebrated for its ability to remove clients from everyday strains and pressures and invite them to reflect, rejuvenate, relax and unwind.